In absolute awe. 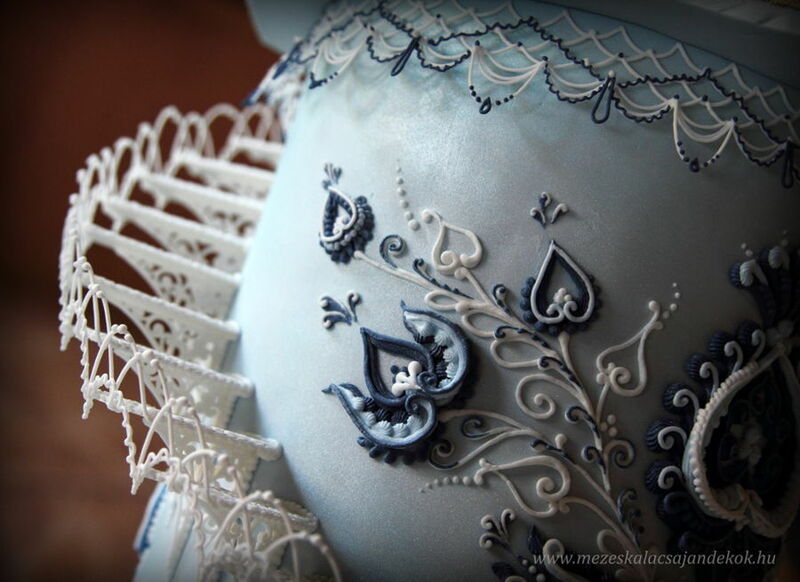 That cake is truly a work of art! This just took my breath away!! 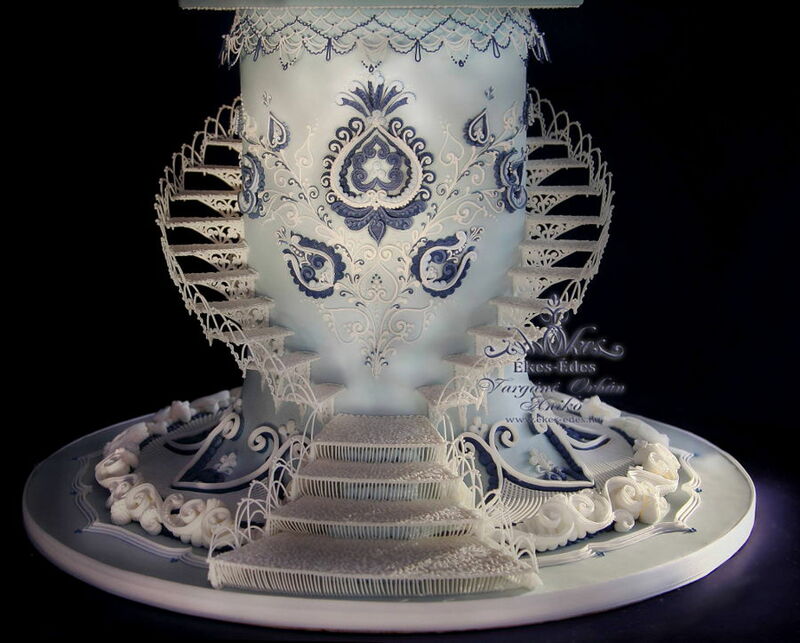 I don't think I've ever seen anything so intricate, delicate and simply beautiful like this ever!! It really and truly is a pure work of art!! You are truly very very talented!! Is this really a cake?? Stunning.. This is spectacular work! How in the world do you transport something like this, with all this string work, safely so there is no breakage?? How? My mind is blown. I would love to have even half the skill it took to create this. Wow! Absolutely love the color scheme. Beautiful work. I am in awe! Thank You I'm so honored! I transported it 230 + 230 kilometers back and forth. I was nerves wreck. But it's not broken up. My husband did the stand. It was needed many of the technical solution was required to protect. We had to fix in the transport box. Everything was spedially. I decorated a fake cake for an exhibition. WOW!!! what amazing detail !! stupendous work! 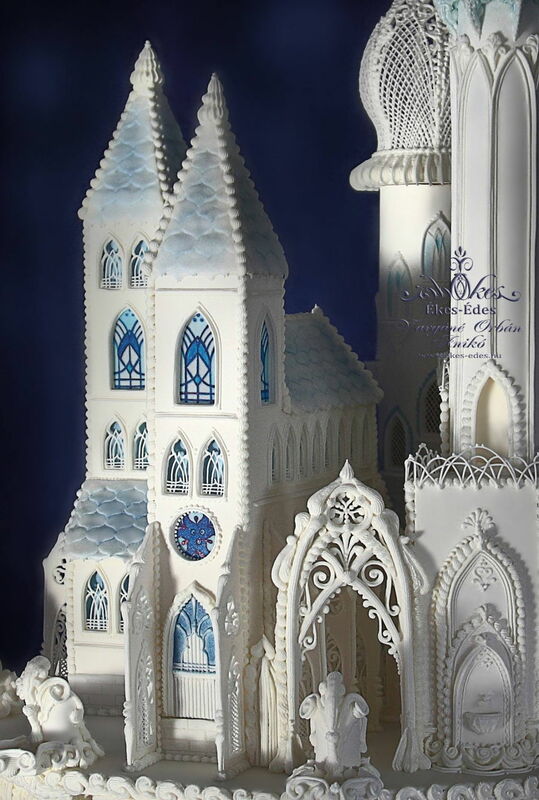 This is such amazing royal icing work. 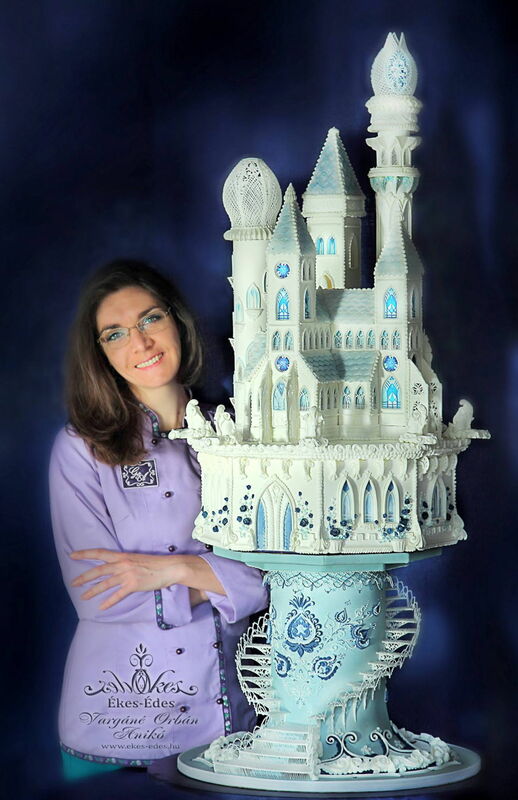 You are a true cake artist. The Lambeth piping is SO exquisite and crisp. Such rich blue hues. The Austrian lace is gorgeous. The exactness in the stair design and "glass window" work is mind-blowing. The uniformity of the roundness of the globes is breath-taking. As a detail-oriented person, this is the epitome of perfection. My hat is off to you! 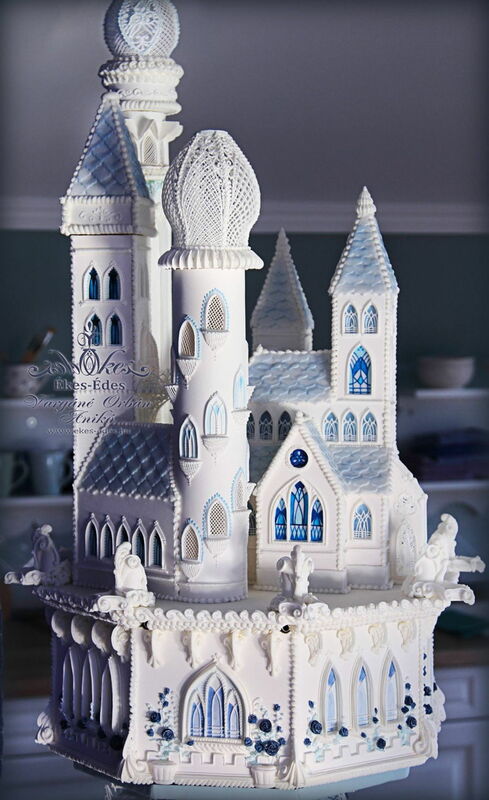 Dear @AtoDCakes ‍ it's a really nice opinion. Thank You!!! I try to make unique things. It's hard work, but worth it.